This knitting book would be perfect for a beginner, with simple patterns that only require one type of stitch. 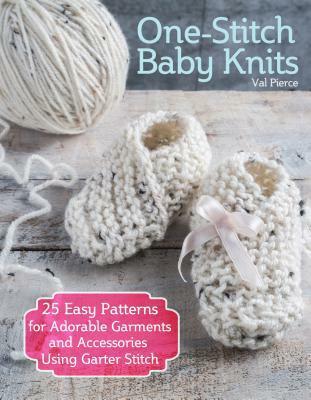 From easy patterns like a baby bib up to intermediate and more experienced patterns like a baby cardigan, this book has a variety of cute projects both small and large. If you only have a few hours, you could knit up some sweet baby booties in a flash! Or if you have time for a larger project, you could try one of the adorable sweater and hat combinations. With clear instructions and photos to illustrate the stitches, this book is easy to follow and full of information. I really like the beautiful colors and sweet details on each knitting project!